Ethan Kolwaite was born and raised in Worcester, MA. He studied painting under Ed Smith at Marist College and under John Walker at Boston University. His current works are large abstract figurative oil paintings. These works are dark and personal, guised beneath a vibrant color palette. 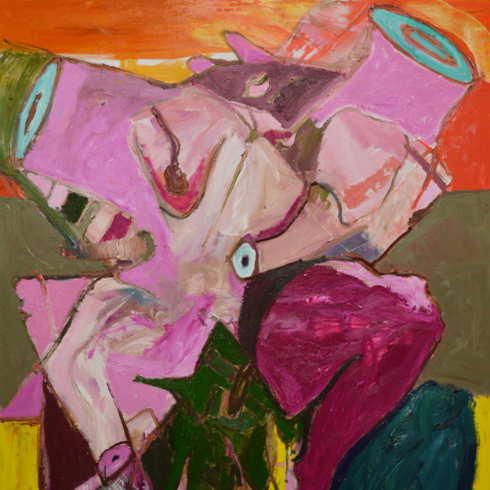 Influences that are noticeable are that of Cecily Brown, Willem de Kooning, Philip Guston, Soutine and Hyman Bloom.